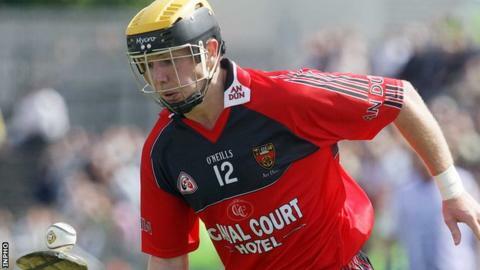 Down kept their Christy Ring Cup hopes alive with a comfortable 1-19 to 0-13 victory over Wicklow on Saturday. Chris Egan's goal after 65 minutes put the finishing touches to the Mourne team's rout in Ballycran. Gareth Johnston nailed four of his five frees in the first half for Down, who led by 0-14 to 0-5 at half time. Wicklow are now out of the competition while Down's win in the Round 2B tussle sets up a game against a loser from Division 2A in the next round. Andy O'Brien converted three frees and Wicklow dual player Leighton Glynn scored a couple of points for Wicklow in the second half. Down goalkeeper Stephen Keith pulled off a great save from Enan Glynn but it was Down who hit the only goal of the game late on. Donal Hughes' strong run set up Chris Egan whose low, hard finish to the corner of the net completed a nine-point rout for Down, who buonced back from last week's defeat to competition favourites Kerry.